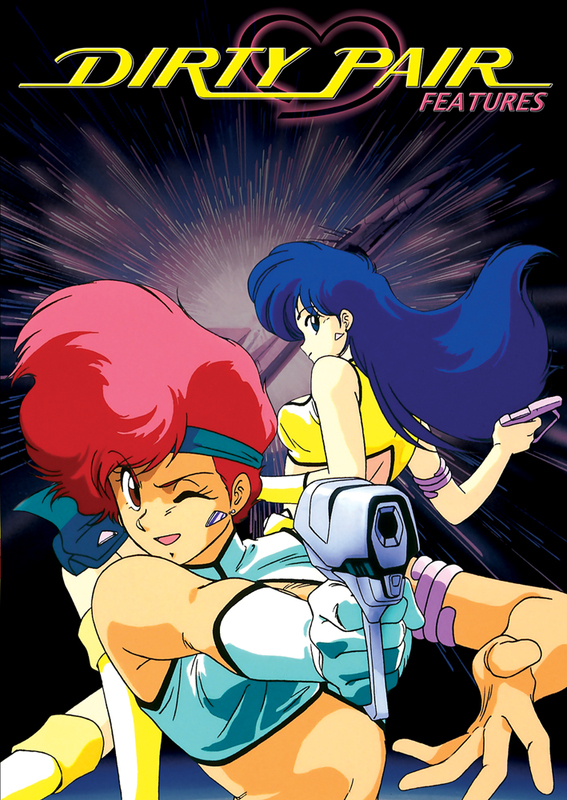 The Lovely Angels are back in this Dirty Pair triple pack of '80s sci-fi action! Kei and Yuri are on their way to the distant planet Agerna. There, they'll have to ease tensions between rival governments, capture a self-proclaimed master thief, and stop a mad scientist from reviving an ancient alien race! A little girl has gone missing, but this particular damsel in distress has incredible psychic powers. If Kei and Yuri want to find her, they'll have to fight their way through a deadly forest of illusions. The 3WA's Central Computer gave the Dirty Pair two cases at once! Kei and Yuri must investigate a space liner explosion and, at the same time, find a missing scientist. It all seems harmless enough, but this is actually the Angels' most dangerous mission, yet - and if they're not careful, it'll also be their last. Special Features: Japanese Promotional Trailers, North American Trailer, Previews. This is the best value and quality package you'll likely find for these features. Project EDEN is the DP's take on a James Bond-like movie and is my favorite anime of all time. It's a lot of fun and has an awesome j-pop soundtrack. The other features are 'pretty good,' but pale in comparison to Project EDEN. I can't recommend this one highly enough!